On November 7th, from 3-5PM our Varsity Players and Coaches will be offering a focused Youth Clinic. 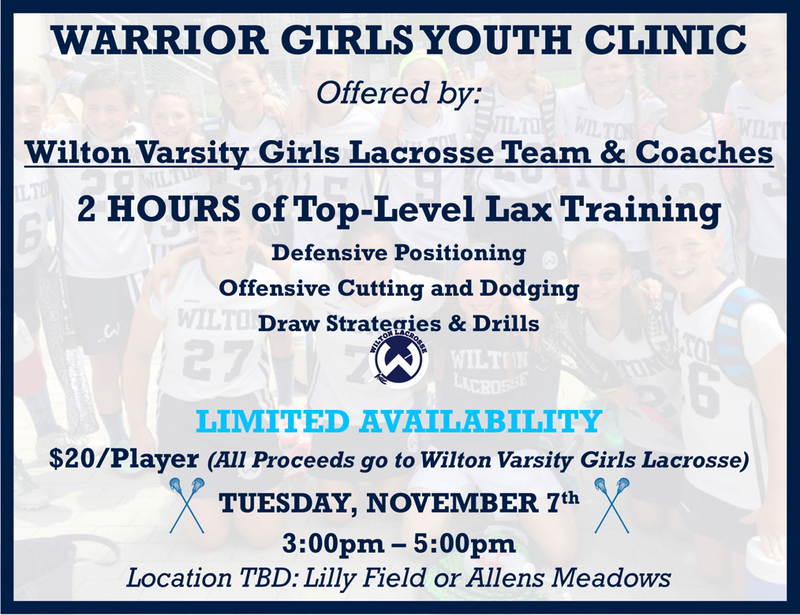 With 15-20 of Fairfield County’s top lacrosse players and coaches present, this clinic will offer unique one-on-one attention and guidance. We will separate the girls based on age, and will run age and skill appropriate drills. We look forward to working with the girls!